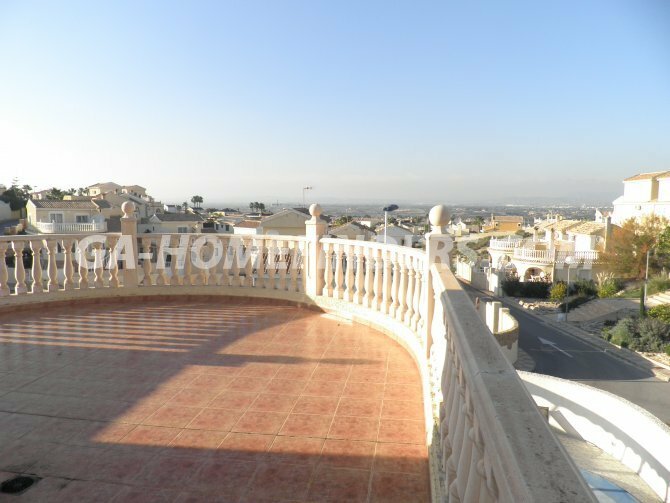 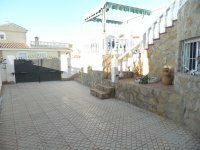 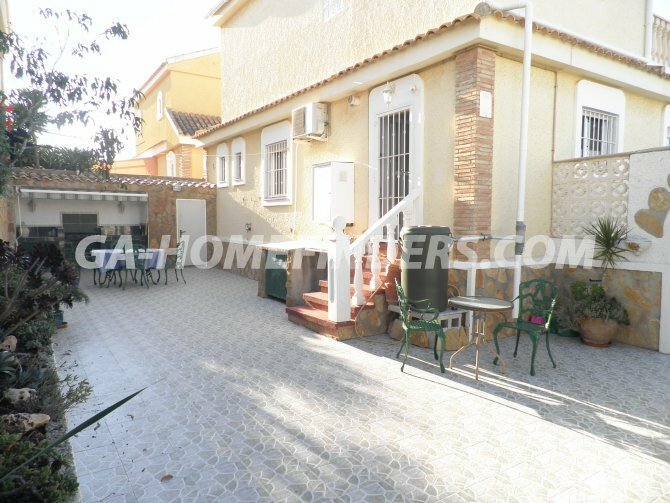 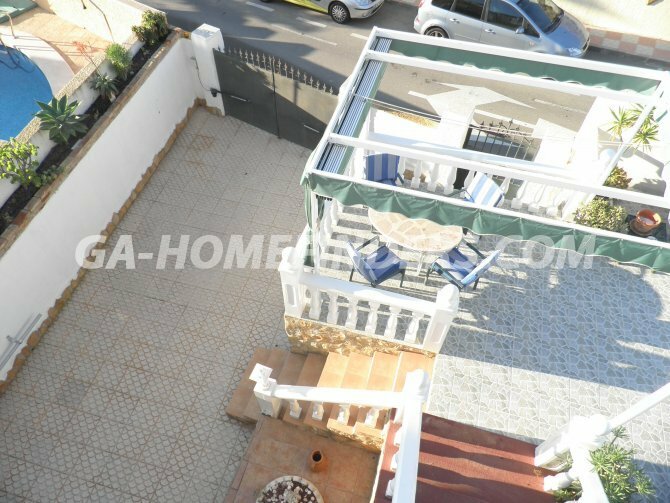 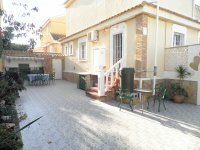 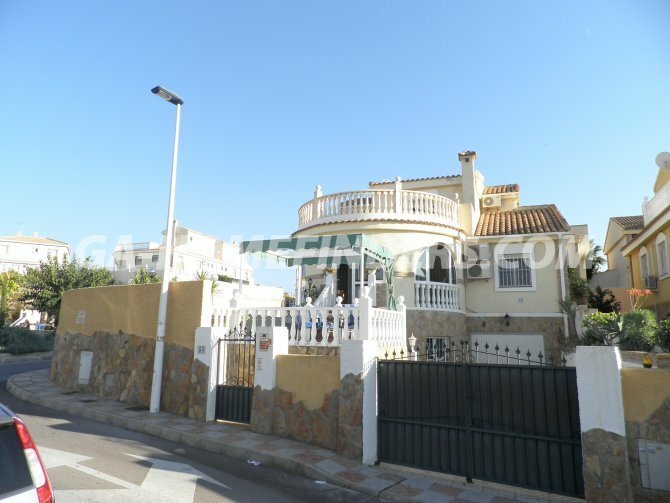 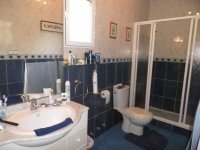 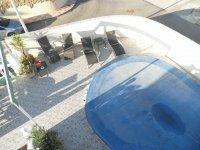 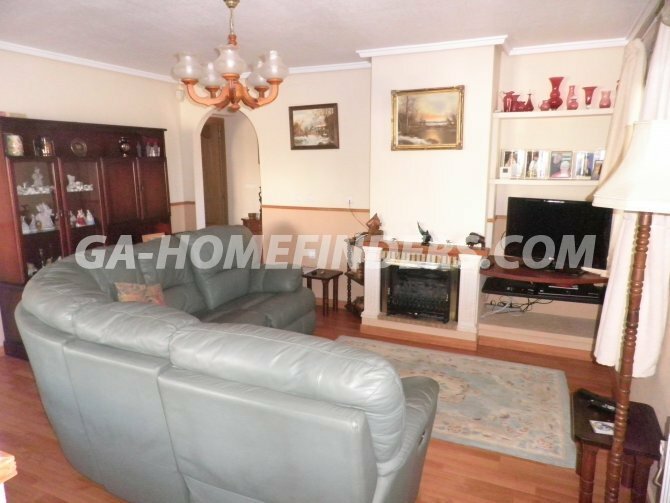 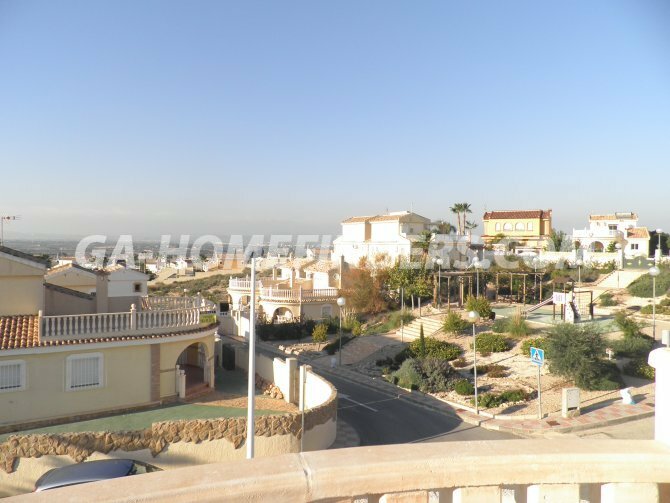 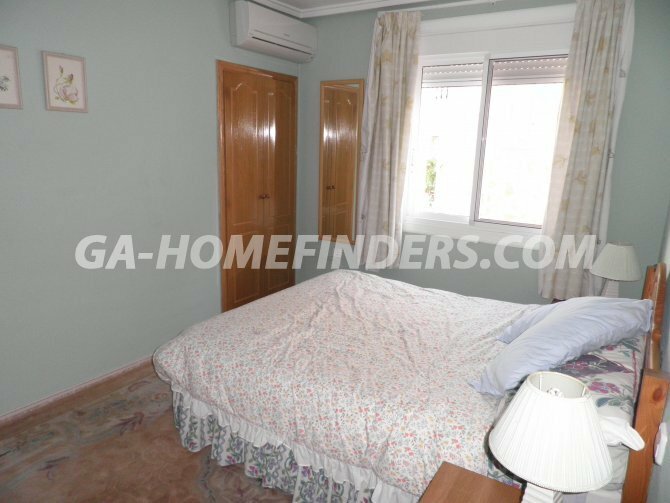 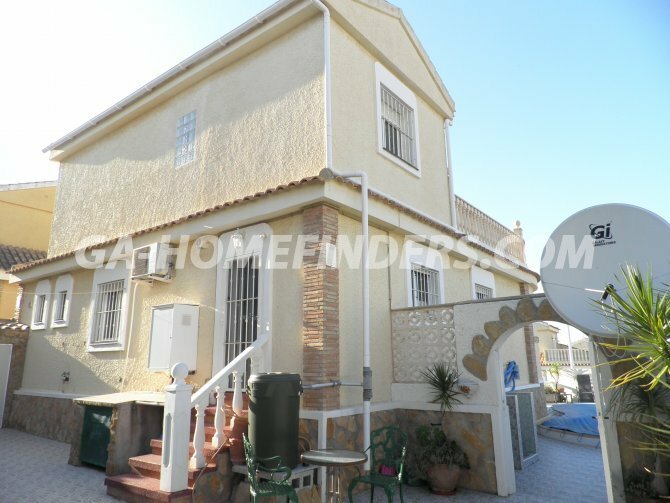 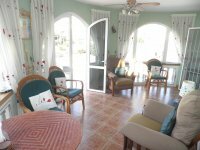 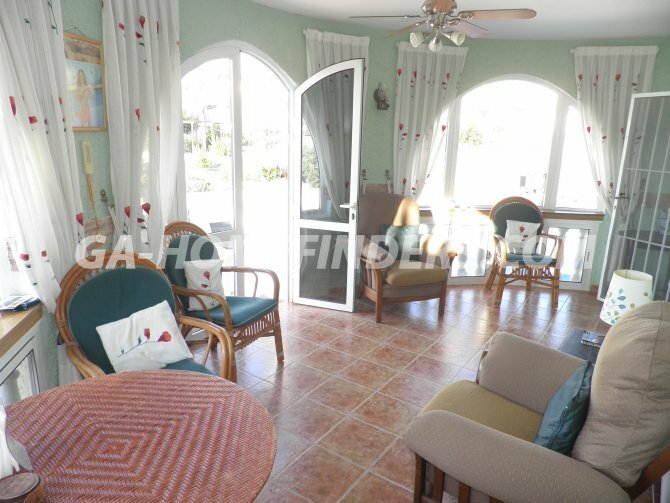 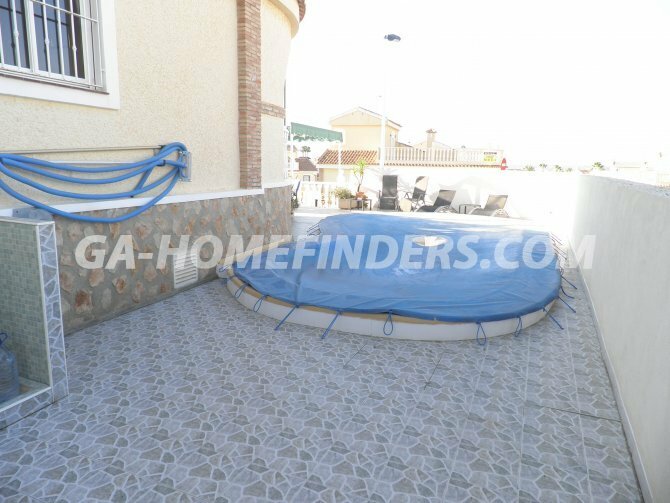 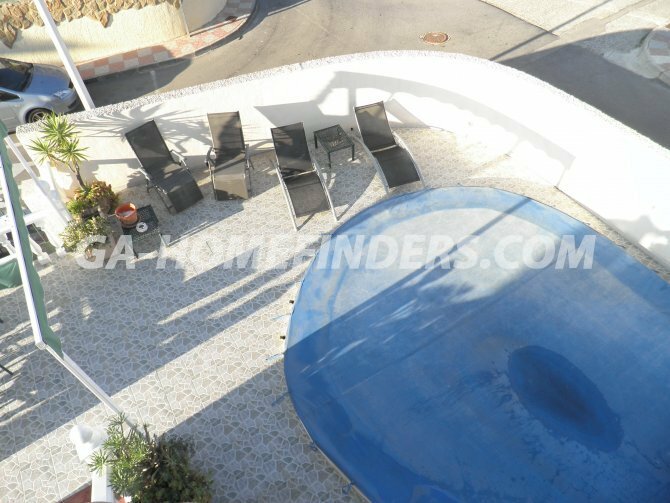 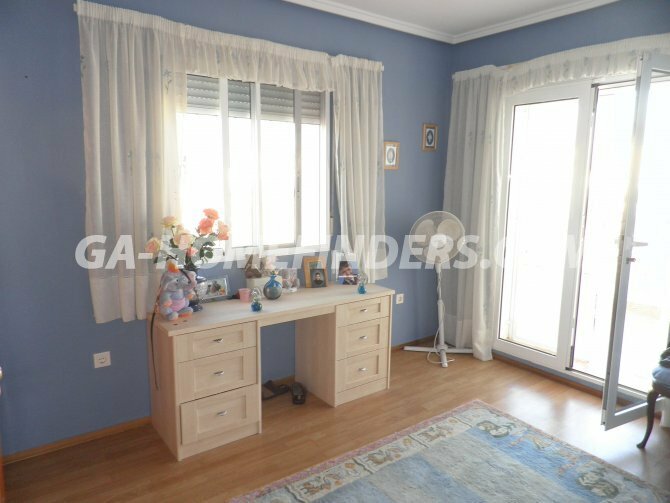 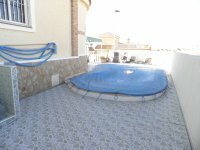 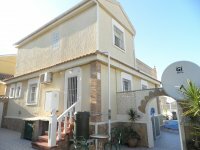 Spacious detached villa on a corner plot with 3 bedrooms and 3 bathrooms. 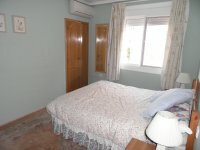 Comes partly furnished and with kitchen appliances, Benefits from air conditioning and central heating radiators, French doors from the master bedroom open onto the solarium which has mountain views, The glazed in terrace adds an extra room to the property, A large basement (storage) area and garage are situated underneath the house. 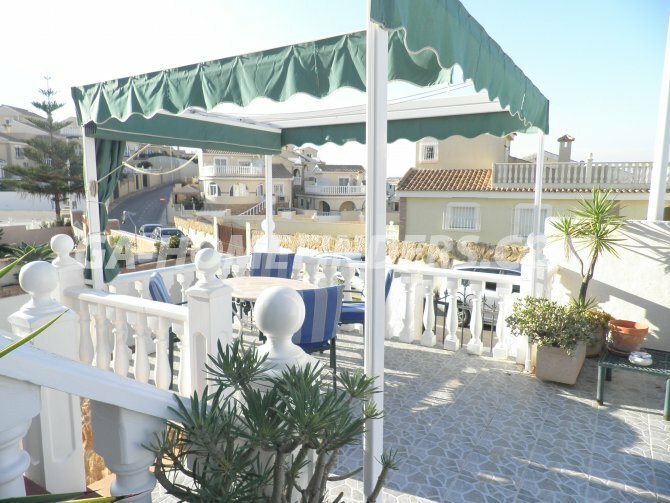 The outside areas include a private pool, an outside kitchen area and an awning on the terrace. 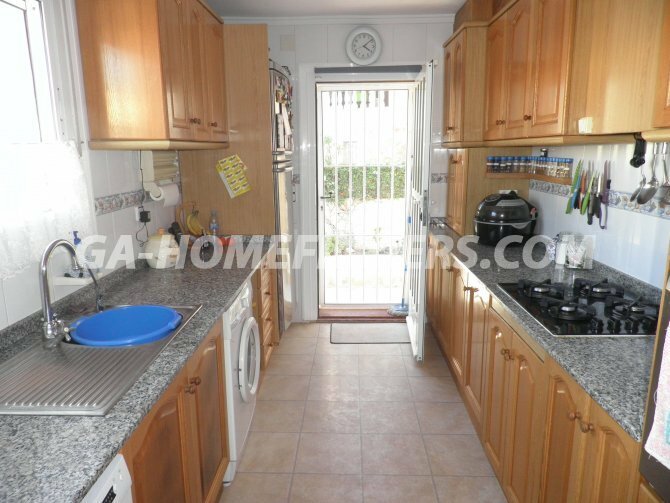 Additional features include the security grills. The area is nice and quiet but conveniently situated for the main commercial centre where there are shops, bars and restaurants.